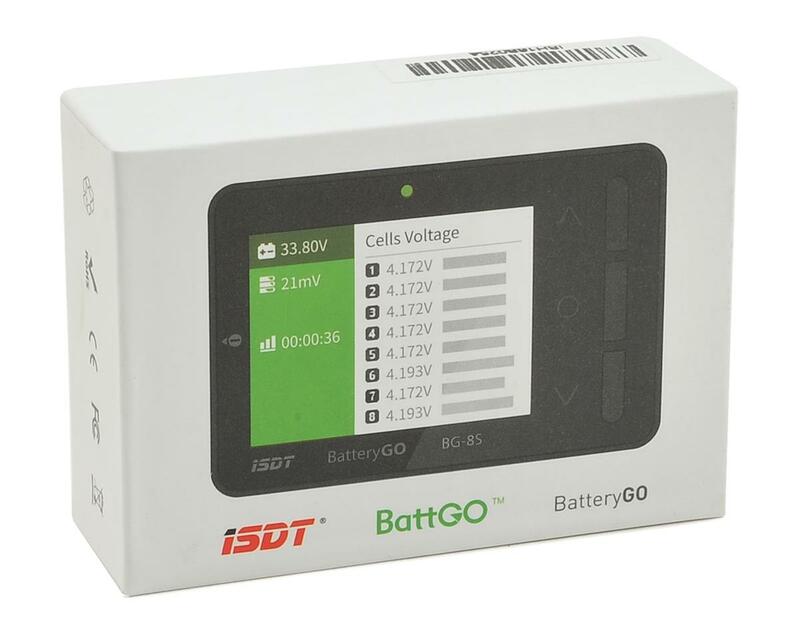 iSDT BG-8S Smart Battery Checker will be one of the first future-proof battery checkers on the market designed with powerful features and the latest technology packed inside! 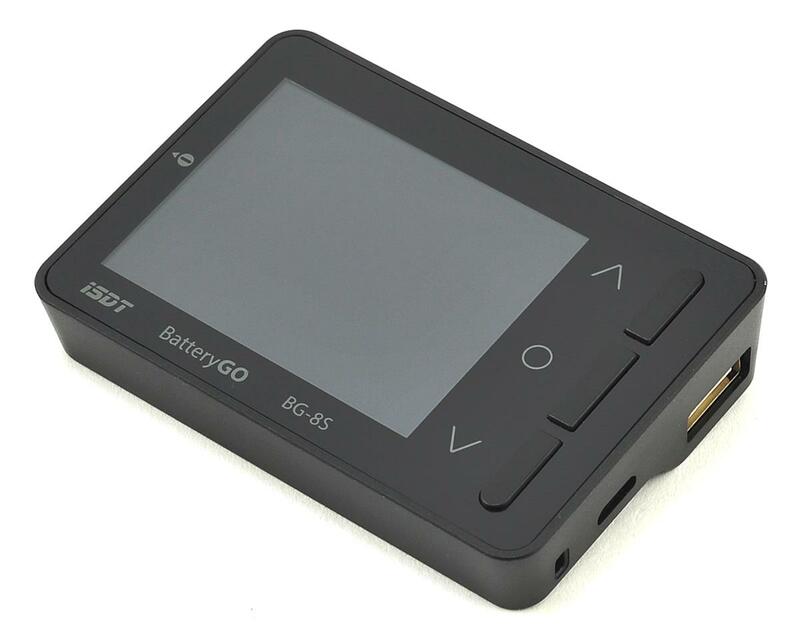 Featuring a vivid 260,000 color LCD display panel that has excellent visibility under any light condition, BattGO technology, automated cell balancing, USB charging, receiver signal testing, protocol analysis, & a wide ability of connection compatibility for measurement, the BG-8S will surely be the defacto standard in Battery Checking technology. 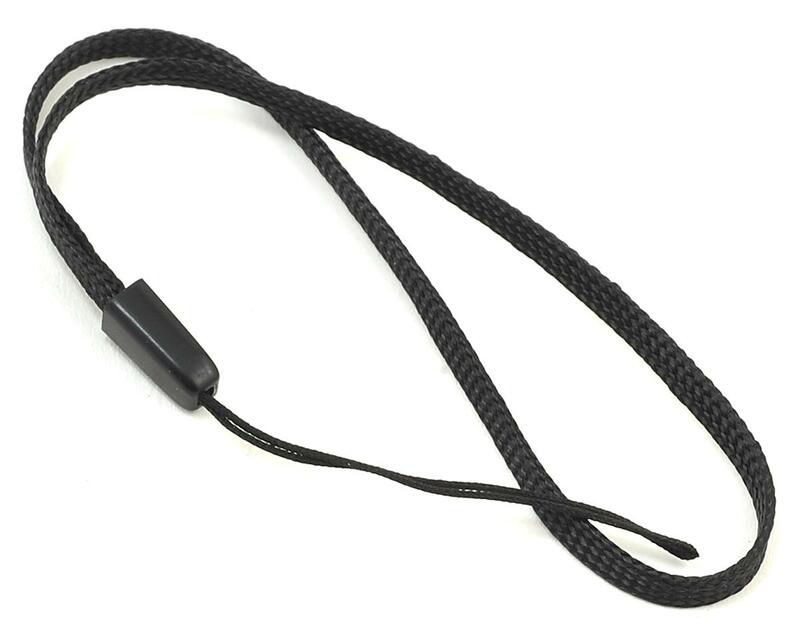 Built in BattGo technology is supported for batteries that feature an XT60i connector. BattGo provides full knowledge with detailed parameters for your battery. Easy to read cell voltages, battery cycles, and other parameters are all displayed for ease of access. Featuring an advanced balancing algorithm, BG-8S will quickly and effortless balance each battery. Once completed, BG-8S will enter into a low power mode automatically. When connected to a LiPo battery, BG-8S will additionally function as a power bank for all mobile devices. BG-8S supports Qualcomm QC2.0/3.0, and is compatible with BC1.2 and Apple devices. Maximum output is 12V/2A. read battery info and usage history. I purchased iSDT BG-8S battery checker and it was delivered quickly from amain and the shipping box was nicely packaged. The unit came in a small box with instructions, stickers and a screen protector along with the BG-8S. The small unit delivers on all of the functions as described. 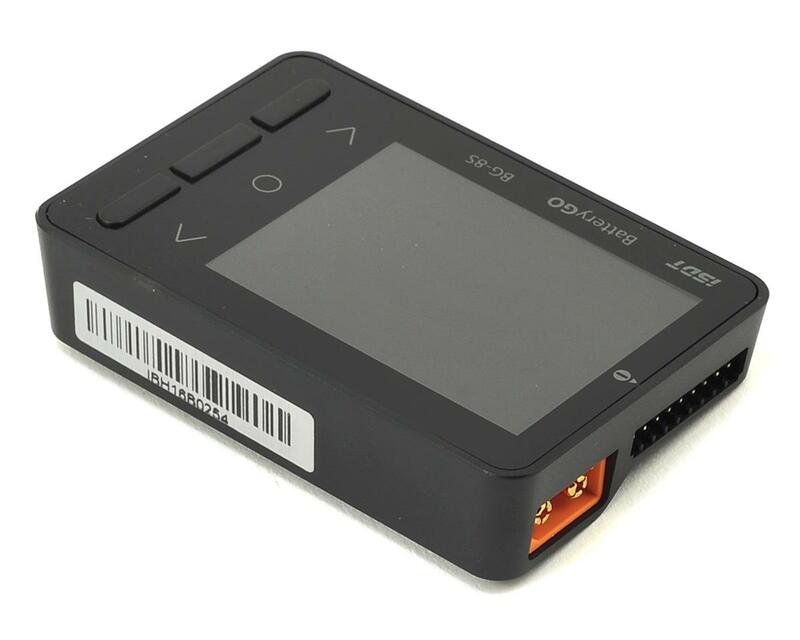 It can be used as a rx tester (PWM & S.Bus), balancer, cell voltage meter and a USB charger. I have been using this with 3s and 6s batteries and it works great. The unit is intuitive and really easy to use. I recommend this product compared to other cheaper alternatives that are just cell meters. I had a small issue with this unit because the film that is on the screen that protects it is really hard to see and peel away so at first I thought there was no film on it and was disappointed that my screen was "scratched" turns out it was only the protective film that I was looking at. I was contacted by John from customer support who looked at another unit to double check that the screen indeed had a protective film on top. After checking his stock he quickly got back to me and encouraged me to take another look at my screen, he also stated that he would be happy to replace my battery checker if I wasn't satisfied with my purchase. I am very satisfied with amainhobbies, their staff and their products. This company is great to deal with and is my first stop for all my RC needs. Thanks again! 7 customers found this review helpful.